In this article we detail all you need to know about the latest Matchbook sign up offer of 0% commission including step-by-step guide on how to claim the promotion as well as the key terms you should know about. 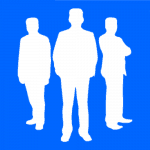 What Is The Matchbook Sign Up Offer? 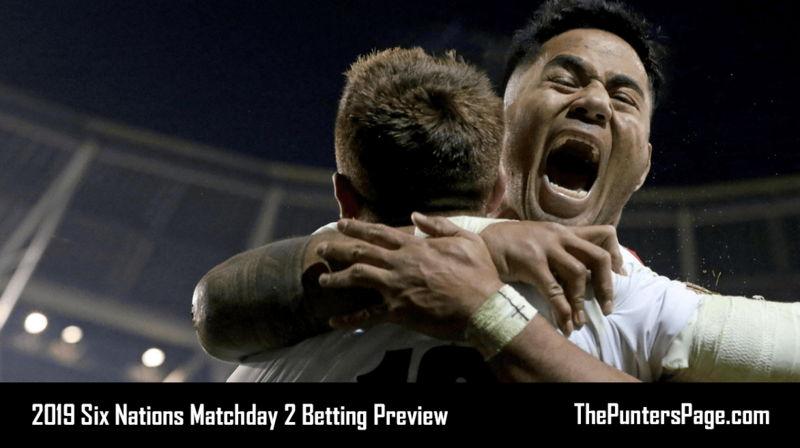 Founded in 2005, Matchbook are one of the fastest growing exchanges, and it’s no surprise considering they offer some of the lowest commissions available when it comes to betting. For those yet to have joined, Matchbook have one of the best offers around, with new customers able to bet with 0% commission. Simply sign up (you do not need a Matchbook bonus code), make a deposit via a credit or debit card and place bets on the Matchbook Exchange as normal. You will not be charged any commission until the date specified. Do note that if you make your first deposit via Paysafe, Neteller or Skrill then you will not be able to claim this Matchbook sign up offer. You will however be able to use those methods after your first deposit. Firstly, click here to head to the Matchbook sign up offer landing page. You will not be charged any commission until the date specified. 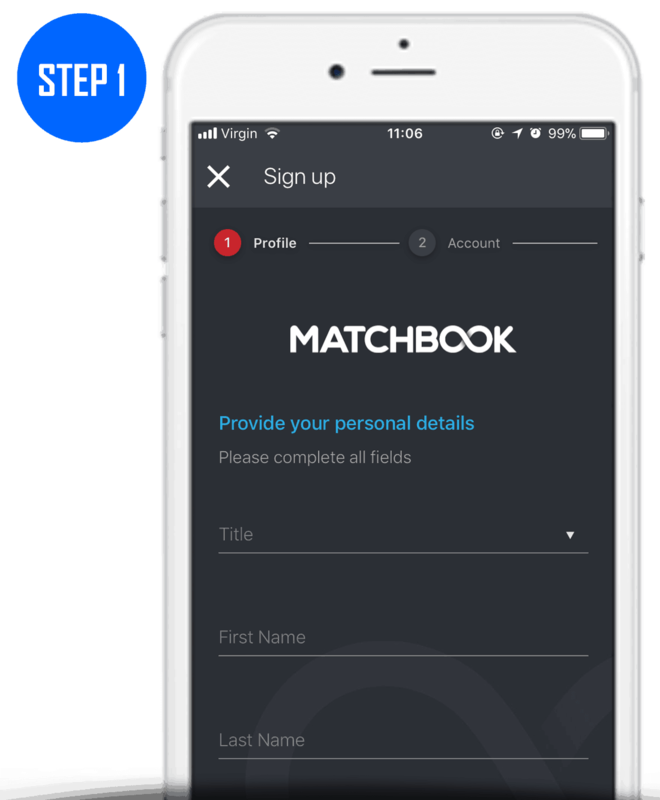 Below, we’ve explained how Matchbook’s registration process in 2 simple steps. Step 1: Fill in your profile details. There are a number of terms you should be aware of regarding Matchbook’s 0% commission joining offer. We’ve detailed the main ones below although you can find the full T&C’s on the Matchbook website. Bets placed between the date of sign up and January 31st 2019 on any of Matchbook’s betting markets will be charged no commission at the time they are matched in respect of those bets. Vets placed may be back bets or lay bets. 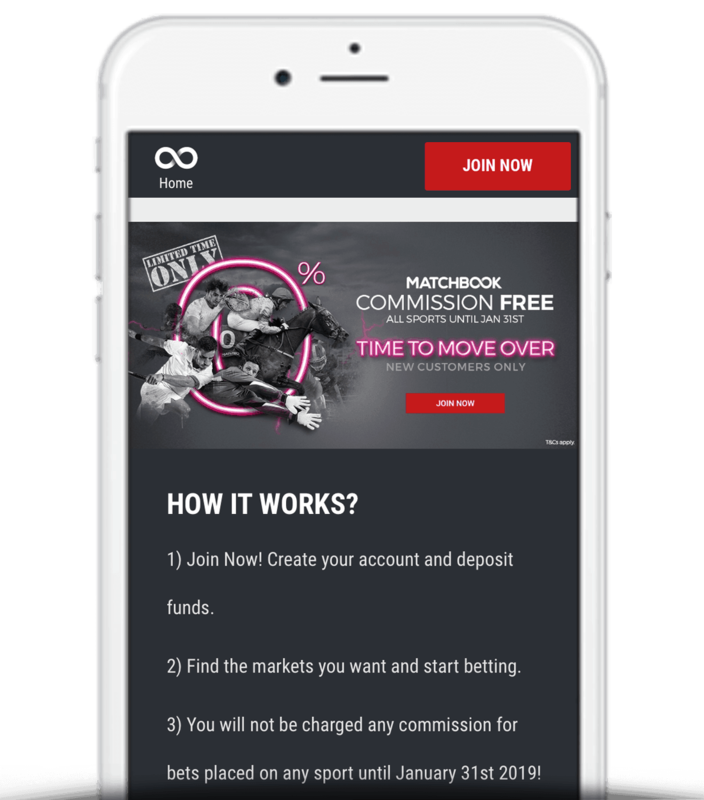 Matchbook are one of the market leaders when it comes to betting exchanges and their current 0% commission offer for new customers is the perfect way to get started.